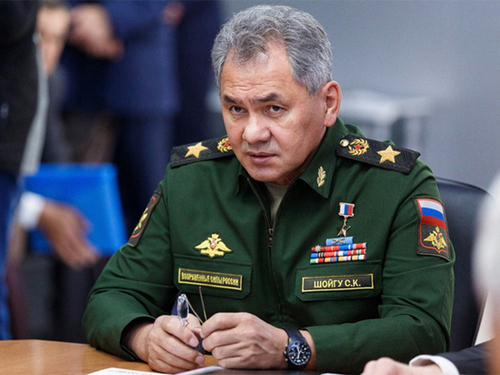 Defense Minister Sergei Shoigu at a meeting of the collegium of the military department on Tuesday, March 5, raised the issue of modernizing the fleet of military transport aviation and creating new transport workers. As it is known, there are problems in the implementation of these projects, aircraft manufacturers disrupt the deadlines for the implementation of state contracts. Experts told MK why the Russian army needed new military transport planes and why it was necessary to speed up their construction. With regard to problems with the timing of the implementation of government orders, there is not much to guess. We are talking about the Il-112V light military transport aircraft, which is being built at the Voronezh aircraft plant. He was supposed to make the first flight back in 2017, but has not done it yet. Interfere with technical problems. But the Il-112B will not solve all the problems in this segment of military air travel. Therefore, there is the question of developing a new heavy military transport aircraft. According to experts, I mean the project of the IL-276. The basis for it can serve as the design groundwork for the creation of the Russian-Indian multipurpose aircraft MTA. The Hindus refused to work on a joint project, but the work was left. Modernization of the Il-76 aircraft fleet is also an urgent task. The old D-30 engines, which are on most of our aircraft, no longer correspond to modern fuel efficiency indicators. They should be replaced with new PS-90 engines. At the same time, it is necessary to replace the old electronic equipment developed 30-40 years old. How to upgrade the IL-76 is in principle clear. The sample is the so-called IL-476, which mass production was resumed at the Ulyanovsk aircraft factory. It has new engines and modern avionics. In the image and likeness of the IL-476 with the PS-90 engines, a new tanker aircraft is being made, which should replace the old IL-78. In December last year, the new Il-78M-90A tanker completed its first flight in Ulyanovsk. The car will test and run into mass production. Among the tasks voiced by Shoigu, there was no creation of a super-heavy military transport plane to replace the An-124 Ruslan. Heavy-duty AN-124 is also in solid age. But the main snag is that they are equipped with D-18 engines manufactured by the Ukrainian company Motor Sich. And with Ukraine, all business contacts have disappeared. We have no such engine of our own. And such powerful aircraft of the army and the Airborne Forces are needed. What to do? -We have agreed with the military that it makes no sense to resume production of the An-124 with D-18 engines. Because the technology is not mastered. It is better to step over and go to the development of the D-35 engine to talk about the new super-heavy military transport aircraft. -We simply need a modern fleet of military transport aircraft, which increases the mobility of our troops. Because we have a small army, but threats, because of the huge length of borders, can arise in different directions in our country. And the transfer of troops to these areas is the number one task for military transport aviation. No doubt, Russia needs new transport wings. And it is desirable that they look like a heavy transporter of the An-124 “Ruslan”. These cars have already proved that the transfer of complexes like the S-400 to Syria is not a problem for them. Moreover, such an aircraft will be indispensable if we talk about the delivery of cargo, equipment and manpower to the northern borders of our country or to the Arctic. The following aircraft, which, according to Leonkov, are very much awaited in military transport aviation are Il-112B and Il-276. They claim the role of small and medium aircraft. Now the hopelessly obsolete Ana are busy with this. And the new Russian military transport aircraft from Ilyushin should replace them. At the same time, some MK experts are pessimistic about the idea of ​​creating a heavy transport plane that can replace the An-124 Ruslan. “Today, Russia does not have the capacity to start or revive the production of An-124 Ruslan class aircraft,” says an expert close to the Russian aircraft industry. – We are no longer the Soviet Union, and we no longer have the capacities that allowed us to build military transport aviation agents. The maximum that is available to us today is the average repair of Ruslans. And then with the use of spent their donor aircraft. No less sad, according to the expert, the situation with the long-awaited air transport IL-112V. Despite the fact that he was even rolled out for a public demonstration, he still cannot rise into the air. -One blame the bad engines, engines nod to screw specialists. But in general, it turns out that the 112th is chained to the ground and when it flies, it is not known. So the issue with transport aircraft at the board of the Ministry of Defense raised not in vain. It remains to hope that the priority measures of the military department will help aircraft manufacturers to cope with all the problems in time.